The Seven Year peace Deal! 11 The seat of Satan is said to be in Rev.2:13 I know your works. and where you dwell, and where Satan’s throne is Pergamos! The two legs of Daniels beast are the two capitols of Roman empire which were Rome in the west and Constantinople in the East which is modern day Turkey and has been under Islamic control since 840 AD and is now called Istanbul. “Turkish Prime Minister Recep Tayyip Erdoğan told Khaled Mashaal, Hamas political bureau chief, yesterday that he welcomed the reconciliation deal between the two rival Palestinian factions Hamas and Fatah on forming a national unity government. “The dragon in the verse above is Satan. The power that Satan gave his Islamic kingdom “beast” is oil. No surprise we find western nations whoring themselves out to countries that are composed of up to 100% antichrists, that are even sworn to annihilate us, to keep the flow of oil going. Even giving weapons to these countries that will eventually be turned on Israel. This while the same nations evermore compromise the safety and freedom of the Israelis, who are the only people in the Middle East, that share our western values. Indeed Muslims enjoy more freedom in Israel than they do in any Islam controlled state on earth. Jeremiah 13:23 Can the Ethiopian change his skin, or the leopard his spots? [then] may ye also do good, that are accustomed to do evil. While these countries and various sects of Islam may have differences, and some with national sovereignty, they are perfectly united spiritually through the false prophet Muhammad and his Quran. As a result they are filled with the spirit of antichrist because their belief that God has no Son, or “shirk”, is the most important fundamental in Islam. Iraq 97%, Iran 98%, Syria/Lebanon 90%/60% Islamic. reniged upon and the beast will set himself up in the temple of god himself. 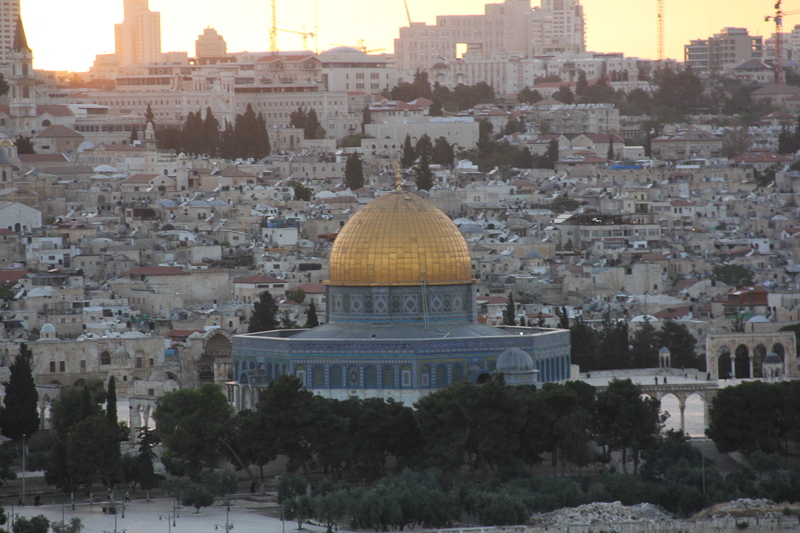 Its interesting to note some believe that the Israelis will be able to rebuild a temple on the mount next to the dome on the rock and when the 3 1/2 years are finished then the false prophet will set himself up in the temple of God and put the Islamic symbol of the cresent moon and star which will be bring the great tribulation upon the people of the earth and we better know who our God is and who he is not and who is his son.